Good things come to those avocado growers who wait, at least, that’s more or less how the saying goes. 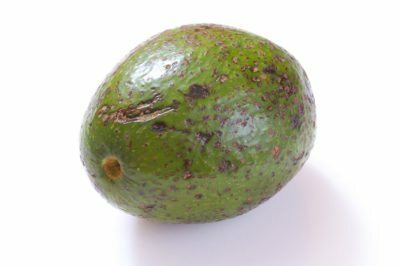 When it comes to harvesting and handling avocado fruit postharvest, many avocado growers get a lot more of a surprise than they bargained for when they discover anthracnose of avocado fruit covering their bounty. What’s an avocado lover to do? Read on for more information about anthracnose on avocado trees. 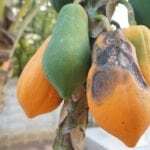 Unlike many avocado diseases that are basically cosmetic, anthracnose is often difficult to see and can selectively ruin fruits, leaving all other plant parts untouched. You might notice some leaf spots, but it’s far more likely your first brush with this fungal pathogen will occur while your fruits are ripening. Avocados will suddenly sport small dark spots that expand rapidly, within just one or two days, as the fruit ripen. Because the skin of the immature avocado fruit is largely protective against anthracnose infection, it’s easy to have a bad case of anthracnose without even knowing it. Although this fungus isn’t dangerous for humans to consume, it can affect fruit quality dramatically, with the damaged areas of the avocado discoloring and producing a sour flavor. Home growers can simply cut these spots out, but if you’re selling your produce, you may need to take greater steps to ensure that your avocados are marketable in the future. Avocado anthracnose treatment requires keeping several things in mind at once. First, your goal is to reduce the amount of anthracnose spores in and around your tree. 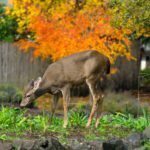 This means removing all dead fruits, leaves and branches at the end of the year and cleaning up any debris or dropped fruits that might accumulate underneath. Prune your trees so the insides are more open and allow the wind to penetrate, reducing life-giving humidity in the canopy. Secondly, you can treat your tree as a precaution. Spraying the tree with copper fungicide every two weeks after blossom drop will ensure that your fruit is protected throughout its development. Also, treating or remedying other diseases, pests or handling problems will also help tremendously. Thirdly, your fruit should be carefully handled postharvest. 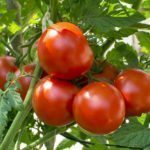 Cooling ripening fruits immediately and holding them at 41 degrees Fahrenheit (5 degrees C.) is vital. Temperatures of 75 degrees Fahrenheit (24 degrees C.) will accelerate the growth of any anthracnose that managed to evade your spraying efforts. Harvesting during dry conditions can help avoid contaminating fruits that were otherwise perfect.